This model was developed by John Burgoyne and Roger Stuart at Lancaster University in the 1970s. The write up of their research is buried in a long-since-forgotten paper published in 1976. If you are interested in their research there is a chapter about the 11 qualities in the book A Managers Guide to Self Development. This deals solely with the qualities and not the sources of management learning. It's their research on how managers have acquired the skills and other attributes, described in the model, which I have found of most interest. I've summarised their findings here. Two methods were used to ascertain the sources of learning. Firstly, a critical incidents interview technique with 28 managers and secondly, using the data emerging from the interviews, via questionnaires distributed to over 100 managers from a variety of organisations. Which sources help develop which skills? Since writing the original post in September 2013, I have produced a summary of the research and its implications as a Slideshare presentation. Conclusion - what are the implications for management learning? What strikes me as being most important about this research is that it's based on what managers are themselves saying. Their answers tell us how they link critical qualities/skills and learning sources. That a variety of experience matters: doing the job, doing other jobs and from the experience of life itself. That structured learning experiences are helpful, especially when learners have the chance to engage with others outside of the organisation and to engage in deep learning practice and assessment. What's notable, by its absence, is any reference to coaching and mentoring as sources of learning. Given that it's a learning practice that has become widely used in organisations either with external coaches and mentors or with the development of line manager coaching skills, this absence is surprising. The researchers made no comment about this and it's possible that as a management development practice it was less prevalent in the mid-70s. Or perhaps that for the managers it was wrapped up in the natural processes of doing the job or living. 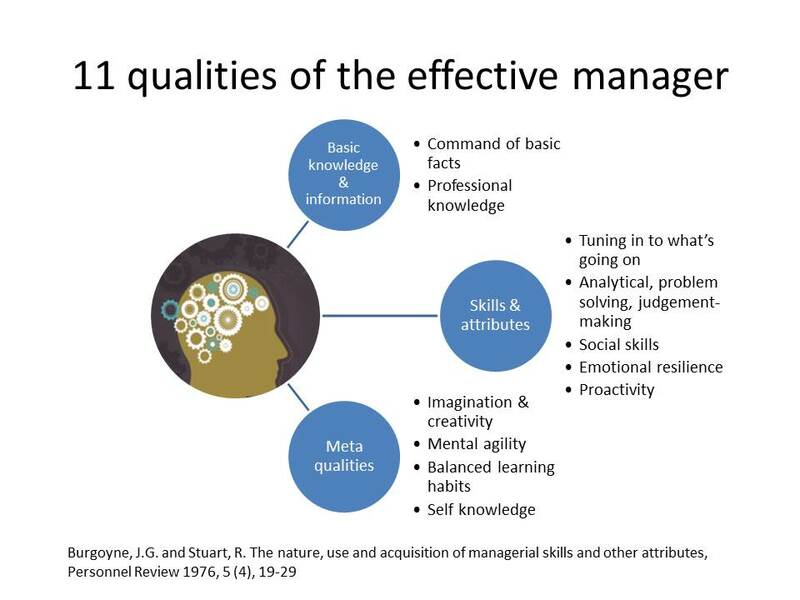 And maybe that's the key point: that managers get it that they learn most of what they can do by doing the job. As learning specialists, my sense is that we can and should do more to help managers learn from their experience; through observation, by paying attention and thinking about what it is that they are already doing. Observation and reflection then becomes the foundation for trying out new practices, getting feedback from peers and colleagues, developing a network inside and outside the organisation to share what it is that's working and what's not. My NODES model provides a way of representing this as a flow of personal and collective learning.